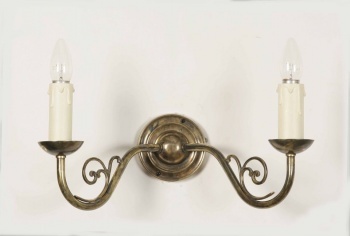 Twin Cottage Brass Wall Lamp. 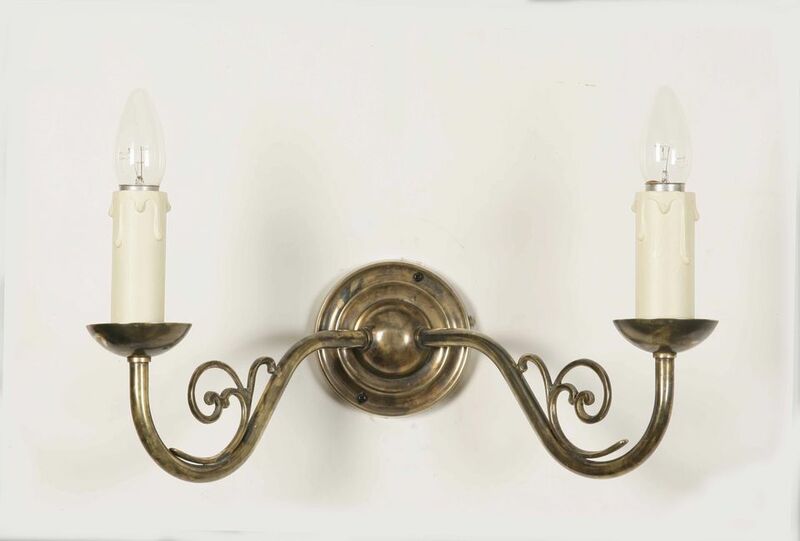 A traditional hand-made solid brass twin wall light. 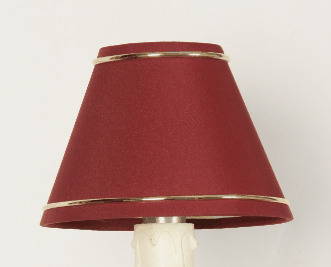 Available with optional cream or red candle shades. Unlacquered polished brass will tarnish and mellow with time and is recommended for external light fittings. 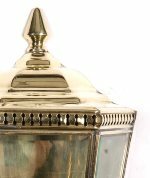 Alternatively, unlacquered brass can be re-polished to restore a brighter finish. 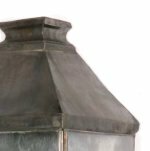 To replicate the appearance of highly tarnished antique brass, this finish is a grey bronze and requires no cleaning or maintanence. Recommended for both internal and external use. 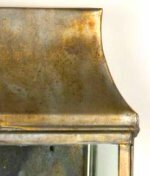 This hand crafted finish allows the brass to mellow and requires no cleaning or maintenance to keep the finish. Recommended for both interior and exterior use. Using chemical solutions, the brass is tarnished and lacquered to create a natural bronzed finish. This finish is not suitable for exterior use and will require occasional cleaning with a damp cloth.